Every year during the month february and March is there the carnival in the Canary Islands and therefore Gran Canaria a grand festival. The carnival in the Canary Islands is as an evenet known worldwide . It has many similarities with the Brazilian carnival. Under a pleasant temperature there is is a lot of dancing, floats, music and fireworks. As every year is the Carnival of Las Palmas the major crowd puller. This year stand the carnival in the sign of Oriental nights. In the capital you feel are in the sensual Rio de Janeiro but is far more better in Las Palmas. Sources reported the first Carnival in the year 1574. Since 1976 after the fall of Franco, has the Carnival of Las Palmas received a modern touch. 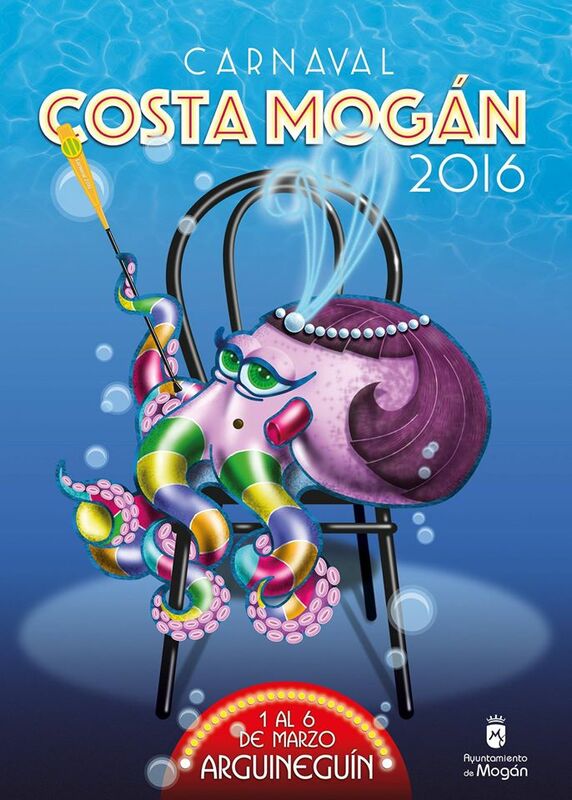 Today, this event is one of the biggest tourist attractions in Gran Canaria. 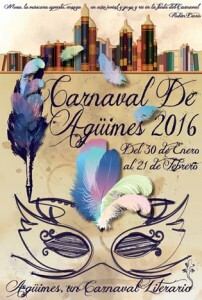 The announcement of the Carnival will take place on January 29, 2016 at 13:00 pm on the Plaza Santa Ana. From then there are almost daily activities in the city. On February 21, 2016 the carnival ended with the “Sardine’s Funeral ” and fireworks. You can view all data via the official website. The carnival in Costa Mogán has in the year 2015 as theme “Tutankhamon“. The theme is every year different and acts in 2015, about the Egyptian civilization. That promises again a lot of beautiful things . On the poster state the sungod Ra. Due to the mostly beautiful weather with lots of sunshine is is the carnival in Maspalomas – Playa del Ingles still a topper of an event. The climate seems tailor-made for this annual carnival celebration . It is this period one big show both indoors and outdoors. Drag Queens, people disguised on the street, music in other words everything for the carnival under the sun is there. It seems like you’re walking around in Brazil, but it is not a dream, you are indeed in Gran Canaria. Every year there is a new theme. In 2016 the theme is “Holluwood and Las Vegas” and celebrated the ’20s. The big carnival parade with floats will take place on February 27, 2016 at 17.00. The parade with floats comes along Avenida Madrid, Avenida de Italia, Avenida Gran Canaria and ends on the Avenida Tirajana in Playa del Ingles. The theme of the “Bear Carnival” is in 2015 “The Pirates” (Los Piratas). The Beer Carnival in Maspalomas of the Gay community makes every day a real feast on land and at sea. The full program can be downloaded here. As in other towns, villages and cities also organizes the municipality of Agüimes annual carnival. The cheerful carnival includes carnival parades and other festivities. The carnival in the city Vecindario takes place in the heart of the city. The carnival parade starts at Avenida Canarias. The Cavalcade or parade starts at 17 am. Beverage, food and customized music is provided. The carnival ends at 24 hours. The Carnival of Telde get annually visited by thousands of spectators. In Telde also become carnival held every year during the election of the Queen and Drag Queen of Telde. Just as in other towns and cities in Gran Canaria, has been Telde a Gran Cabalgata. A ceremonial procession with many floats, music and dance. The carnival in Telde, has each year a different theme. On Sunday is the combustion of the “Sardine” which closes the carnival.